ASNA Office Manager Amanda Sexton (in truck) and Veterinary Assistant Jasmine Douglas (in blue) working with a visiting NSNRT team from Hawaiian Humane Society, (L-R) Tatiana Reyna-Gomez, Amanda Hunter and Ana Kama. "If you want to go fast, go alone; but if you want to go far, go together." Though the origins of this saying are unclear, it’s often used to express the power of collaboration. In animal welfare, nowhere is that power clearer than in the alliance of dozens of animal welfare organizations collaborating with the ASPCA Spay/Neuter Alliance (ASNA) in Asheville, North Carolina, to ensure thousands of cats and dogs throughout the western part of the state are spayed or neutered. Nearly 70 animal shelters, rescue groups, spay/neuter advocates and individuals in 23 counties surrounding Asheville play important roles in local animal population control. With the strong help of these organizations, ASNA is able to alter more than 25,000 cats and dogs each year, preventing unwanted litters from both owned pets and shelter animals. ASNA Veterinary Assistants Jasmine Douglas and Courtney Kendall. Since February marks Spay/Neuter Awareness Month, we’d like to take a moment to highlight the important, lifesaving work happening at ASNA year-round. Dorothy S., 91, of Lester, North Carolina, recently contacted ASNA through a helpline established at Asheville Humane Society (AHS)to have her eight-month-old cat, Ellie, spayed. It’s the second time Dorothy has reached out for help. Her previous cat, Tom, was also neutered by ASNA. “At my age I wasn’t planning to get another cat, but my son convinced me to take Ellie,” she says. “I got a voucher through Asheville Humane, and Ellie’s done real well. Dorothy’s spay for Ellie was subsidized by ASNA, and Dorothy paid a nominal fee for flea medication. Cynthia R., another Asheville-area resident, called Asheville Humane to ask about having her dog, Sassy, a Chihuahua/Dachshund-mix, spayed. Dorothy’s and Cynthia’s stories are just two of thousands that illustrate the positive impacts of ASNA’s partnership with animal organizations in the Asheville area. Through these collaborations, more pets can remain safely in their homes, and euthanasia rates at local shelters have declined substantially. 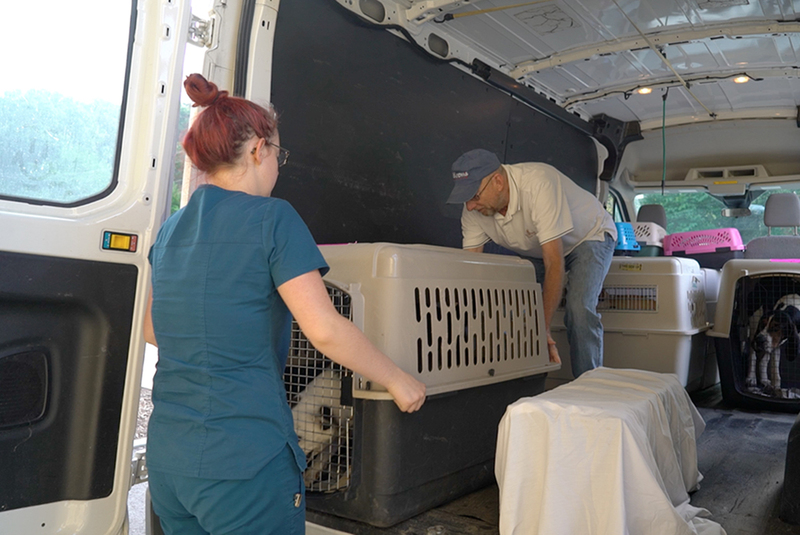 ASNA Veterinary Assistant Emma Farr helps a volunteer from Valley River Humane Society unload a dog for surgery. Much of that community assistance comes from Asheville Humane Society’s “Community Outreach” program, which assists pet owners in targeted areas where animals are at risk of relinquishment. 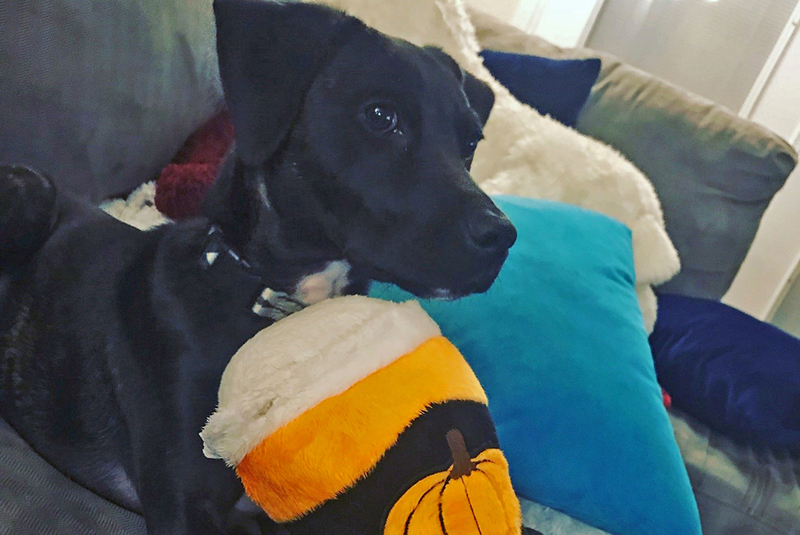 “ASNA provides spay/neuter and vaccination services to help animals stay in their homes where they are safe and loved,” explains Meredith Pitcairn, Communications & Digital Fundraising Manager for AHS. According to Meredith, ASNA performed 2,314 spay and neuter surgeries for both shelter animals and owned pets from AHS in 2017. In 2018, that number rose to 2,500. The Humane Society of Caldwell County (HSCC) in Lenoir, North Carolina, also offers vouchers to pet owners for low-cost spay/neuter provided by ASNA, a partnership that goes back to 2005. An all-volunteer organization, HSCC works hard to educate county residents about the importance of spaying and neutering. 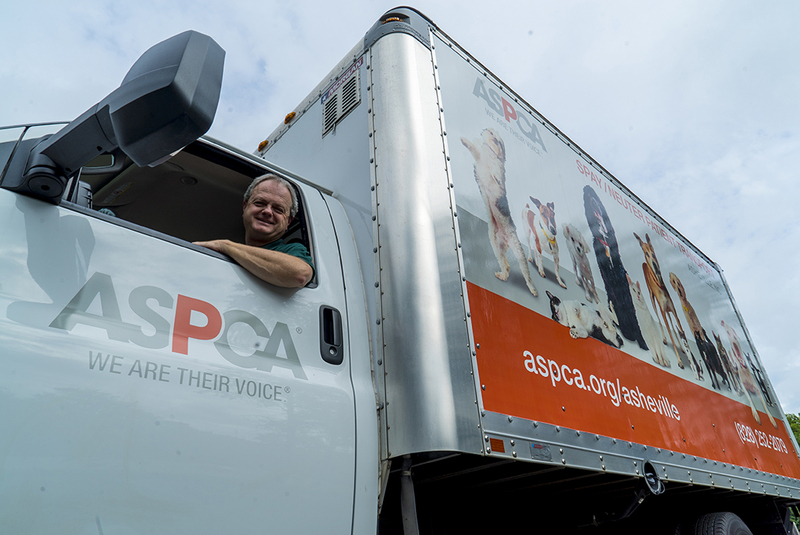 As part of ASNA’s services to certain areas, Ronald “Jeff” Swanson, a driver with ASNA for the past nine years, transports animals from partner groups like HSCC to ASNA, and then returns those animals to the groups the following day. ASNA transport driver Ronald “Jeff” Swanson. Jeff enjoys working face-to-face with ASNA’s partners and clients. “This work restores my faith in humanity, and the rewards go to the animals," he says. In 2018, ASNA spayed and neutered nearly 800 of Caldwell County’s cats and dogs. The Humane Society of Lincoln County (HSLC) in Lincolnton, North Carolina, another all-volunteer organization that focuses on spay/neuter, organizes a low-cost spay/neuter clinic for owned animals every four weeks with ASNA. Pet owners visit HSLC’s offices to register their animals for surgery. Two weeks later, they bring their animals, who are loaded onto a transport vehicle for the 100-mile journey to Asheville. They spend the night at ASNA before returning the next day. Diane Leatherman, Spay/Neuter Coordinator for HSLC, says that since 2000, the organization has altered nearly 14,000 animals with ASNA’s help. “When we first started out, our numbers were about 30 animals per month, which we thought was a lot. Today it’s 70 per month,” Diane says, bringing the total number of animals altered in 2018 to 1,000. With thousands of animals coming through ASNA’s doors each year, it’s not unusual for some of them to go home with ASNA staff, by way of fostering or adoption. ASNA Veterinary Assistant Courtney Kendall adopted a Mountain Cur puppy named Mac from Cashiers/Highlands Humane Society,an ASNA partner. Mac, a mountain cur puppy adopted from Cashiers/Highlands Humane Society, an ASNA partner, by ASNA Veterinary Assistant Courtney Kendall. Her cats, T’Challa and Nikita, eventually got used to Mac, and now the entire family coexists peacefully. Diana Pavlick, ASNA’s Manager of Facilities, Purchasing and Inventory, also adopted a visiting patient: a three-year-old Himalayan cat named Lola, who came from Furever Friends, another ASNA partner. 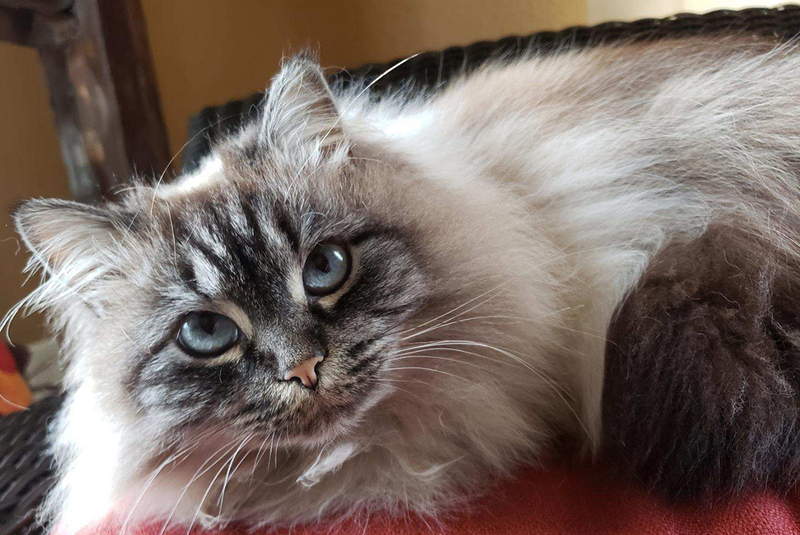 Lola, a visiting three-year-old Himalayan patient adopted from ASNA partner Furever Friends by Diana Pavlick, ASNA’s Manager of Facilities, Purchasing and Inventory. Pam Lookabill, president of Furever Friends, told Diana that Lola was available for adoption and left Diana her card. “I couldn’t get Lola out of my mind, so I adopted her,” says Diana, who learned that Lola and her two kittens lived behind a fast food restaurant where employees fed them fried chicken and potato chips. One day, the manager tried to scare Lola away by kicking her and hitting her with a broom. ASNA staff knows it takes a full community effort to go so far. But even with so much partnership-powered success stories behind them, there are countless more allies and animals to meet in the years to come.